Streetcar Live is BACK! Hop aboard the TECO Line Streetcar from 5-7 pm every first Saturday and enjoy an intimate and unique musical experience unmatched in Tampa Bay on the historic Streetcar. 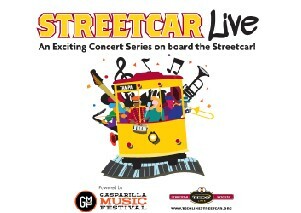 The rolling concert series is all ages and FREE thanks to our “Streetcar Saturdays” free ride promotion! CENTENNIAL PARK STATION // 5:00 P.M.
Use #StreetcarLive on Facebook, Twitter, and Instagram to share photos and videos from the show!